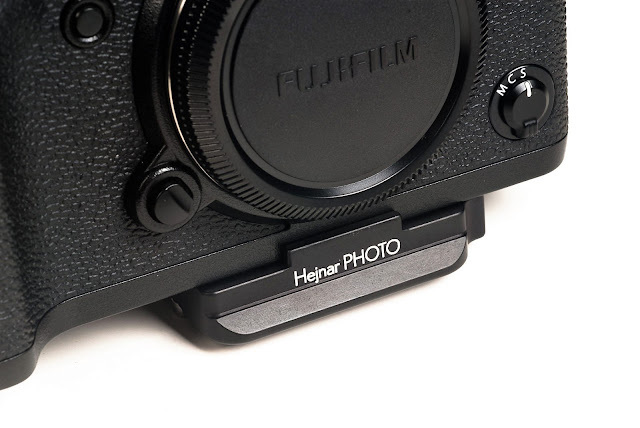 Hejnar PHOTO has just announced availability of a their Dedicated D042 Quick Release Plate for the recently released Fujifilm X-T3 Interchangeable Lens Compact mirror-less camera. 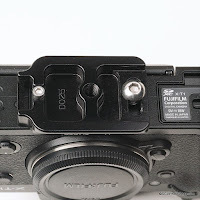 Nonetheless, the D042 is very close in design with the D034 that was originally developed for the Fujifilm X-T2 but for a slight change in the mounting hole placement. 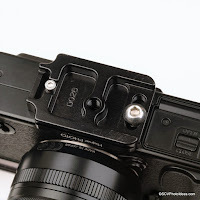 Major difference of the recent Fujifilm models with older models is the relocation of the tripod socket under the lens center axis, thus making the fitting for a QR plate quite easier. Let see some details about the D042 QR Plate. 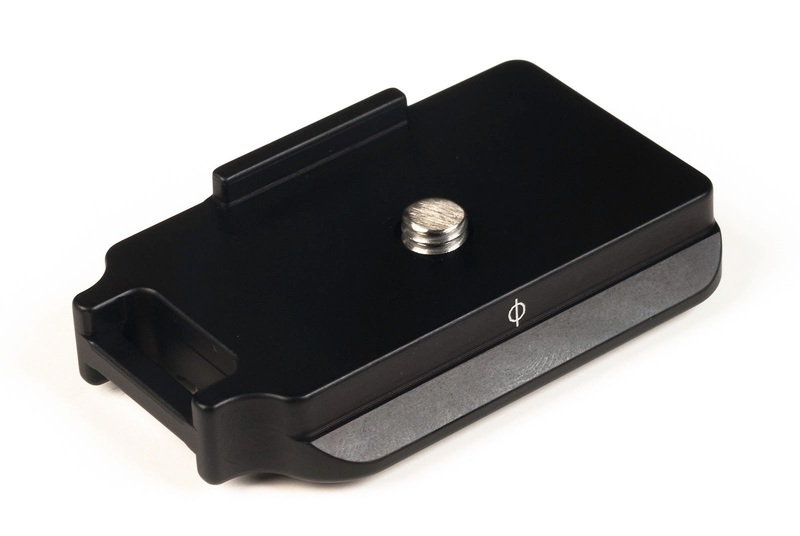 The plate is flat with a centered mounting screw hole instead of a captive slot for the 1/4"-20 mounting screw, since as forementioned the X-T3 tripod socket lies just under the lens center. 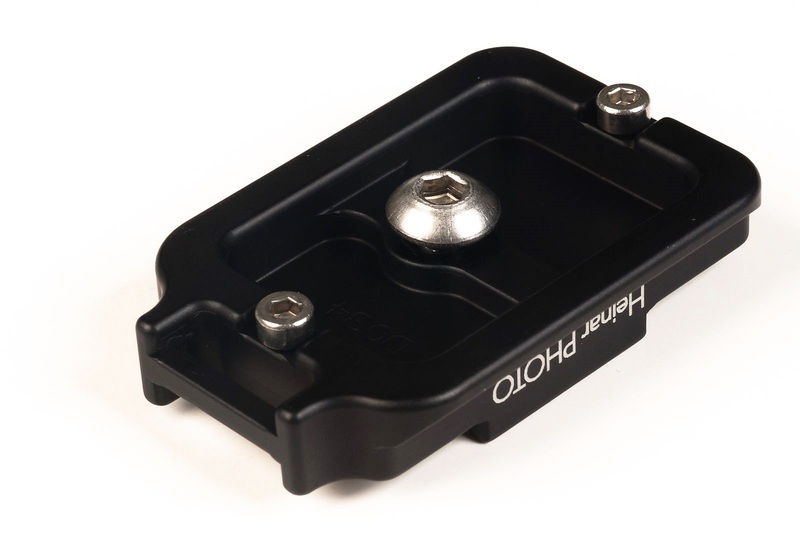 A ridge at the front, bearing the Hejnar PHOTO logo, acts as the anti-twisting mechanism. Looking the plate from the rear a Φ mark is present to indicate the proper alignment for the lens center axis. 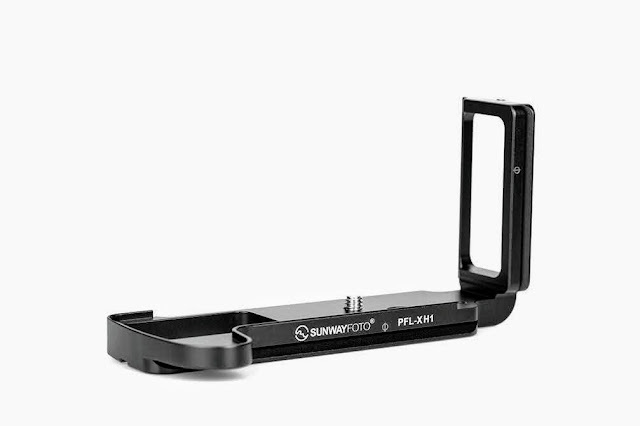 The usual strap loop is also present on the other side. 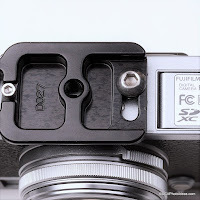 The new placement of the mounting screw, now allows for two M3 safety stop screws, one at each side, instead of one at one side on the older type Fuji plates. 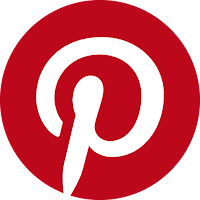 As usual the bottom of the plate is deeply carved in order to minimize weight. 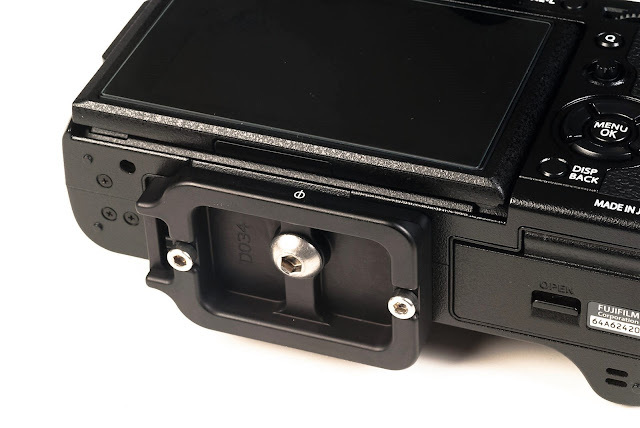 The plate is designed to sit exactly under the center of the lens mount as seen in the topmost photo, While allowing clearance for the rear tilting LCD and the battery compartment alike. 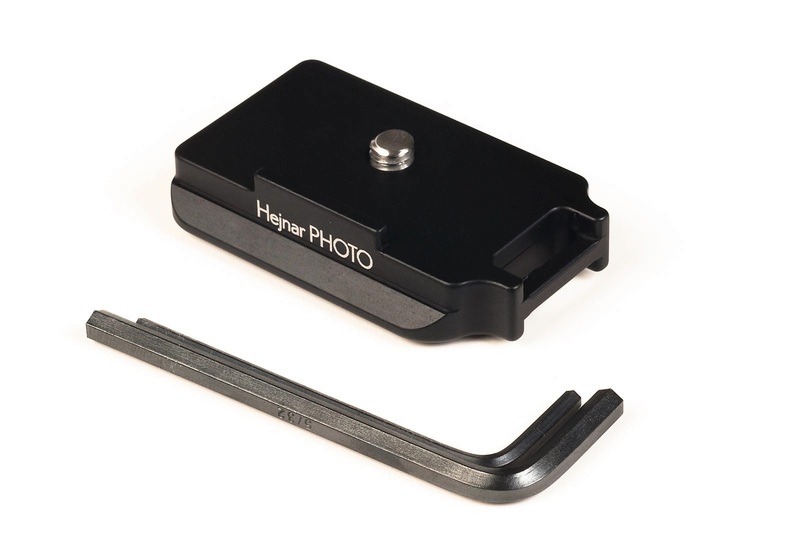 Should I repeat once again, that all Hejnar QR plates are always accompanied by all necessary screws and tools, which in this case are one SS 1/4"-20 mounting screw with two SS M3 safety screws and two size Allen Hex keys, one for the 1/4"-20 mounting screw and one thinner for the M3 safety stop screws. 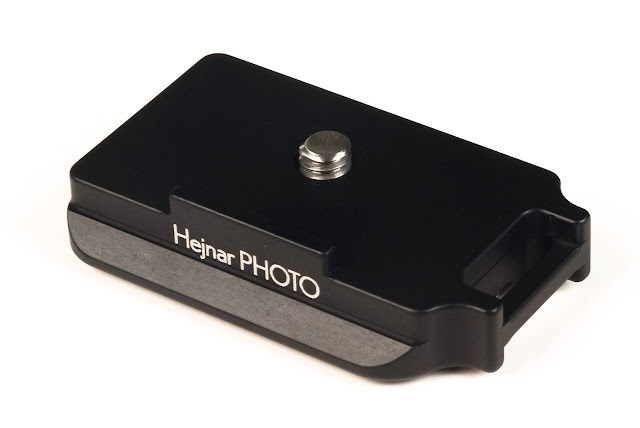 According to Hejnar Photo as well as my tests, Hejnar plates are compatible with Kirk®, R.R.S.®, Arca-Swiss®, and many other Arca-Swiss style Quick release clamps. 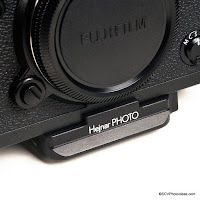 Current price for the D042 QR Plate for Fuji X-T3 is US$ 38.00 (+Shipping where applicable) and is available direct from the Hejnar PHOTO online Store. If you are interested in purchasing the plate, do check the Recommended Sellers page for a valid Hejnar Photo discount coupon before you place an order in the Hejnar on line store.